There are many ways to lose weight these days, and with our schedules becoming increasingly busier, it can be tempting to take the easy way out. Adderall is a tiny pill commonly prescribed for people diagnosed with ADHD, but it has potential side effects of appetite suppression, nausea, vomiting, and diarrhea. Side effects like these make it very easy to lose weight because you aren’t really hungry, and the food you do eat isn’t staying in your system very well. Don’t be fooled by this thinking, because there are some very serious consequences to using Adderall for weight loss, and those are exactly what this article is going to discuss. Adderall addiction is probably going to be one of the biggest problems that you find yourself facing if you end up using Adderall for weight loss. It is designated as a stimulant, and for people with ADHD, this works with their body chemistry to help them remain calm and keep additional behaviors to a minimum. People without this diagnosis are affected differently. They experience the full effect of the stimulant and see an initial increase in productivity and energy. This is what pushes them to keep taking more, but this is actually what starts the addiction. People end up taking larger doses than what is commonly prescribed, or they have to constantly seek out more medication in order to give them the same effect. If the person doesn’t see weight loss in the amount they want they will continue to take higher doses of the medication, which can lead to significant health issues. While it can be easy to just take a pill or have a surgery in order to lose weight, neither of these options do anything to fix what the original problem was in the first place, which is a poor relationship with food. You may not know what foods to eat, how often you should eat for your body, or what a proper portion size is. Taking Adderall or having weight loss surgery can fix the immediate issue of being overweight, but it is not a good idea to use them as a long-term or a permanent solution. In fact, using Adderall to lose weight can make this issue even worse than what it was when you started using this medication. It is going to prolong the amount of time it takes before you finally stop to focus on what the real problem is and learn healthy ways to manage food and lose weight. One of the more serious issues you can face by using Adderall for weight loss is that it can be illegal depending on how you are sourcing your medication. 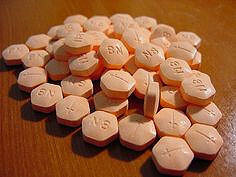 Adderall is a controlled substance, meaning that not just anyone can get a prescription for it. Even people that are diagnosed and prescribed to use Adderall on a daily basis are not generally able to get more than a month’s supply at a time due to strict rules and regulations. If you are diagnosed with ADHD and the doctor suspects you are abusing the medication, there could be serious consequences. These things are multiplied if you are not diagnosed and are purchasing or stealing the medication from someone who is. Additionally, once someone else is involved in feeding your drug habit, they can face consequences too. Adderall works in your system by increasing the amount of dopamine that is circulating in your body. This hormone is responsible for things like feeling motivated, an increased metabolism, and appetite suppression. This is the main reason that people experience weight loss when they take this medication. The problem comes when the dosing schedule is abused. Your body is going to burn through your stores of dopamine quicker than what you are producing them, and it is going to take longer and longer periods of time being sober from the Adderall before those chemicals are replenished. During this time, you are more likely to eat more and gain weight back that you have previously lost. This issue also leads to the next dangerous problem of using this medication for weight loss, and that is going through withdrawal phases. Adderall and drugs like it are listed as some of the most addicting drugs, and it’s easy to see why. These powerful stimulants also have the potential to cause severe withdrawal symptoms that can end up being dangerous. Think back to the explanation of how Adderall affects the dopamine in your body. Dopamine is also responsible for things like confidence and social bravery, which is another feature that makes it so addicting. Stopping the medication for whatever reason is going to send you into a withdrawal period, where you could experience depression and anxiety or even troubles concentrating and brain fog. These things can be contributed to the depletion of dopamine stores because they are no longer at an elevated level and giving you that confidence and enhancement effects. It’s also possible to experience fatigue, irritability, and a slowed metabolism for longer periods of time after you quit taking the pills. As you can see, there may be reasons that people view as valid for taking Adderall for an off-label use, such as weight loss. The consequences of doing this can be both severe and last much longer than what the user was anticipating. Abusing Adderall can be dangerous because of how addicting this medication is. Your withdrawals and crashes can also be more severe because you are experiencing a depletion of both the medication and of your dopamine stores in your body. A lack of dopamine is directly related to things like depression, and without dopamine in your body it can be harder to function during daily activities. Adderall abuse can also become a legal issue, depending on where you get your medication from, and there is the potential for others to suffer for your mistakes. Taking a pill to lose weight may sound tempting, but in this case the risks are much more serious than any possible benefits that could come from it. It’s better to stick to old-fashioned healthy eating and exercise. Ebates — Money Back for Online Shopping! Does Drinking Beer Make You Fat? 7 Ways to cleanse your body naturally with the detox diet. Does Bodybuilding Aid in Weight Loss? When Would You Get a Heart Burn? The owner of this website, Pro-Count, Inc., is a participant in the Amazon Services LLC Associates Program, an affiliate advertising program designed to provide a means for sites to earn advertising fees by advertising and linking guestdietblog.com to Amazon properties including, but not limited to, amazon.com, endless.com, myhabit.com, smallparts.com, or amazonwireless.com. Views expressed in the articles here are those of the respective authors, and do not necessarily reflect those of the owner of this website. This site receives many comments, almost all of which are spam, most of which are automatically deleted. The comments that pass the automated spam checks are moderated to insure that they are on-topic and add something to the conversation.